Rotary Youth Leadership Academy is an intensive leadership training program for young adults. 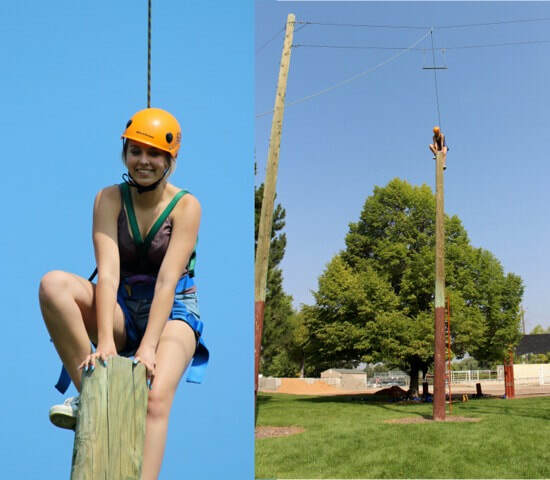 District 5400 hosts incoming juniors through outgoing seniors in high school for a 4-day leadership camp at the College of Southern Idaho in Twin Falls, Idaho. The dates for RYLA 2019 are Aug 1 - 4. Talented young people will attend seminars, workshops and participate in experiential exercises in the form of a ropes course throughout the camp. Check out the letters home tab to hear about RYLA from previous RYLArians. The price per camper is $375. This covers all food and lodging and will be paid for by the campers' sponsoring Rotary Club. Do you want to learn more about RYLA?